Welcome to DigiPrint Graphics’ school fundraising website. We have gathered together all of the exciting fundraising projects we provide for schools and PTAs throughout the UK into one fantastic new website. So whether you want to create Christmas cards, calendars, mug printing for anything else it can all be found in one place and quality is assured when you work with DigiPrint Graphics. So if you have never worked with us before, now is excellent time to work with the very best in school fundraising. School fundraising has never been so easy! We have been helping Schools make the most of their fundraising opportunities for several years now and have finely tuned our projects and processes to ensure that all of our artwork projects are easy to run, fun for the children and profitable for the school or PTA. We know how difficult fundraising can be for schools. We want to help you make the most of every fundraising opportunity and have some fun at the same time. DigiPrint Graphics run three distinct fundraising projects aimed mostly at primary schools although some may also be of interest to secondary schools (such as photographic calendars etc). 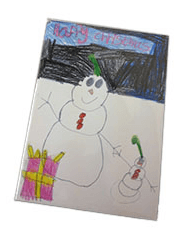 Our number one fundraising project for primary schools throughout the UK are our Christmas cards for schools. We print hundreds of thousands of individual cards for children throughout the UK and Ireland every year. We take each individual child’s artwork, scan it into our systems from which we can then produce a pack of 12 cards from their design. They get a fantastic set of quality Christmas cards printed on the front with their design and on the reverse with their name and school. We even run a Christmas cards for schools service specifically for the Republic of Ireland, priced entirely in Euros! The school raises a healthy profit by selling the packs of cards to parents at a price that exceeds that which we charge to the school. A great fundraising project for children. Click here to read more. 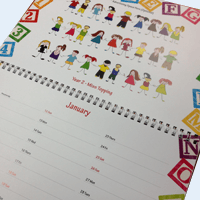 If you are looking for an alternative to Christmas cards why not produce a school calendar for sale to parents? You can include your children’s artwork into the design or perhaps photographs they have taken. We can even include special dates of importance to your school (open days, holidays, trips etc). We can offer three distinct styles of calendars in two sizes A3 and A4. We also offer a variety of school calendar designs and sizes. Read more here. 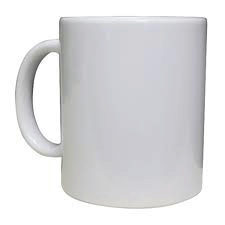 A relative newcomer to our range of school fundraising projects are our fantastic printed school mugs. This artwork project works well at almost any time of year or supporting any sort of activity. They could be father’s day mugs, mother’s day mugs, easter mugs, Christmas mugs or anything else you can think of. They are therefore a really versatile school fundraising art project. Read more here. NEW for 2019 we have launched our sister website Hippo Hoodies. 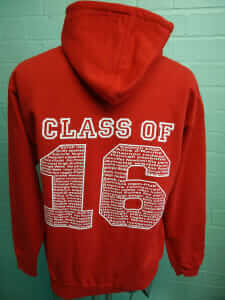 Choose from a wealth hoodies styles, tens of colours, a multitude of designs for the reverse and school logo personalisation to the front of the hoodie. Amazingly cool hoodies and at prices that you will make you smile too! As an alternative to leavers hoodies we also produce a number of other leavers gifts, including leavers t-shirts, leavers mugs and leavers autograph books. In addition to our range of school fundraising artwork projects for schools we have also gathered together a huge database of other school fundraising activities to give schools and PTAs other ideas for raising money. If you have any questions about any of our fundraising projects or anything on our website then please give us a call on (01296) 340 057.